There are no better ways to spend your tropical vacation than a getaway to Plantation Hale on the Royal Coconut Coast. The East Shore has many of the island most popular beach resort accommodations, and guests can find great ocean view vacation rentals. Many of these oceanfront condo rentals are newly renovated and great for all kinds of travelers. This boutique resort is sure to please. 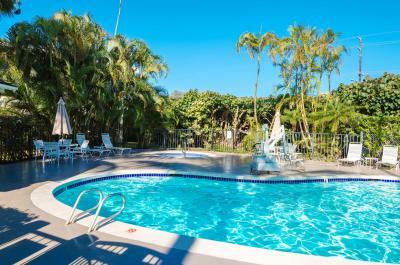 Plantation Hale has three outdoor pools and two whirlpool spas, on-site concierge services, beaches within easy walking distance and guest laundry, coin operated. In-unit room amenities include full kitchens, private lanais, two TVs. For an unforgettable Hawaii vacation, discover Kauai Island where there are daring outdoor adventures and breathtaking scenery to enjoy without the crowds on the main islands. Guests are within walking distance from shopping and dining, and there’s great island activities: snorkeling, surfing, windsurfing, kayaking, hiking, golfing, tennis, helicopter tours and horseback riding to experience if you want an active vacation. You are in the islands, so you will share the laid-back lifestyle of Kauai, Hawaii.